Let’s Talk. We’d Like to Hear from You. 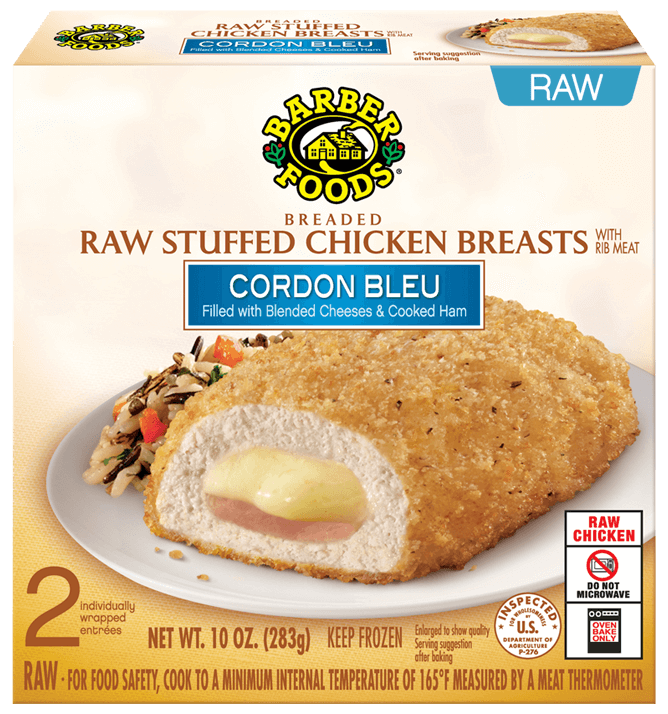 What do you think about the exciting changes we’ve made to the Barber Foods Original Stuffed Chicken Breasts? Your input is important to us - you’re why we make our delicious food. We understand you may have questions, and our FAQ page may answer them. If not, please feel free to contact us using the form below. Thank you for your feedback. There’s nothing we enjoy more than hearing from our customers! If your inquiry is regarding a problem with any of our products, please keep all packaging until a customer service representative has contacted you. Proof of Purchase by mail is required for all product replacements or refunds. We will contact you by the end of the next business day. Thank you! When Gus Barber opened his meat store in Portland, Maine he had one goal - to serve his customers the very best. Find the perfect side dish, salad or sauce to complement our entrées, or discover brand new ways to use Barber Foods. Copyright ©2019 AdvancePierre. All rights reserved.